The Third Global Report on Local Democracy and Decentralization (GOLD III) report on access to basic service and world urbanization was launched officially at the World Summit of Local and Regional Leaders in Rabat. The report details the provision of public services and calls for dialogue between States, international organizations and local governments in order to achieve universal access to basic services. Basic services are essential to quality of life and human dignity. Improving the delivery of basic services has been a key component of the Millennium Development Goals and the Post-2015 Development Agenda. While there has been progress in service access, there is still huge gaps and deterioration in access to basic services in some cities in sub-Saharan Africa and South Asia. Moreover, the growing urban population and existing of nearly a billion slum-dwellers are new challenges which require increases of investment in basic service infrastructure. Local governments, as the closest government to the people, generally have responsibility for improving service access and their provision. The report reviews the current state and local governance of basic local service provision across seven regions of the world. The significant challenge is financing for basic services, and local governments have struggled to generate the revenues to meet the recurring costs of service provision under the gradual decentralization. The report recommends that national governments and international institutions to prioritize the financing of basic services and that national and local governments need to improve efficiency of budget management and experiment with innovative financing models. Another recommendation of the report is to have closer cooperation and coordination between local, national, and international institutions for effective management of basic services. For effective multi-level governance, clearly defining the roles and responsibilities of all levels of government is required. Not only cooperating with government at different levels, but also involvement various stake holders including private sector and civil society is important to provide basic services. Local governments need to be empowered with decision-making, management and oversight capacities to collaborate effectively with their external partners. The report will be published in 2014. 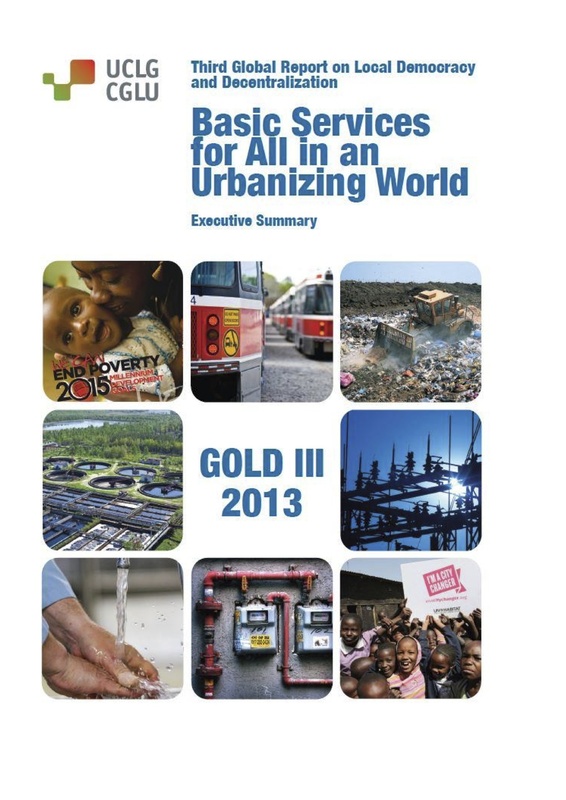 Now you can read the executive summary of the GOLD III online.